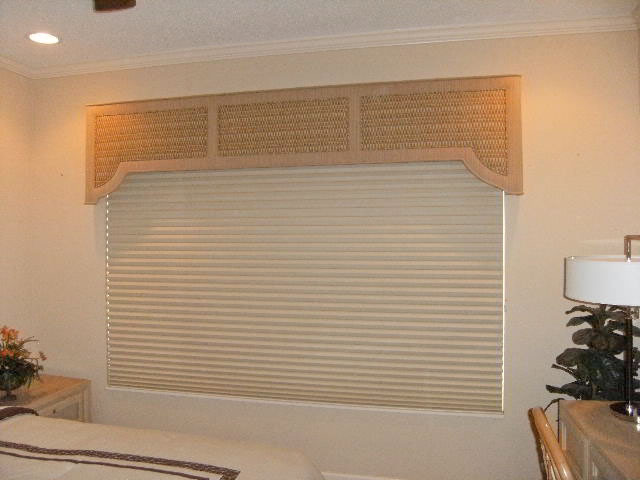 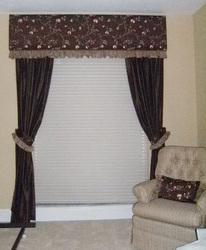 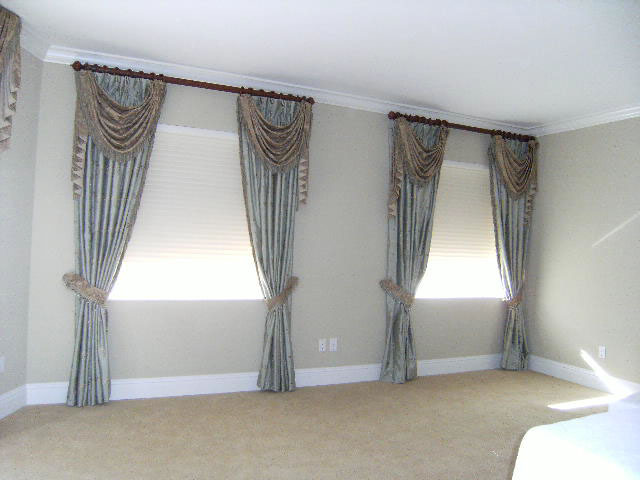 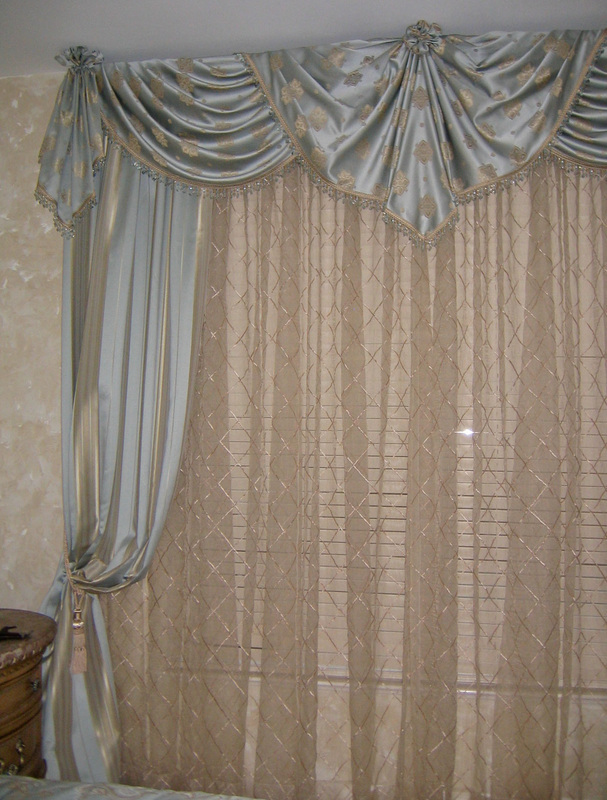 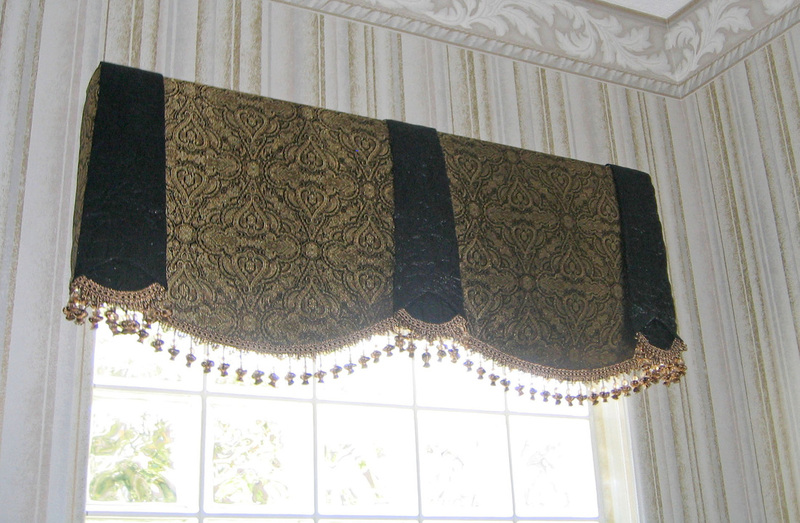 Valances – A valance uses fabric to cover or enhance the mechanical hardware at the top of a window. 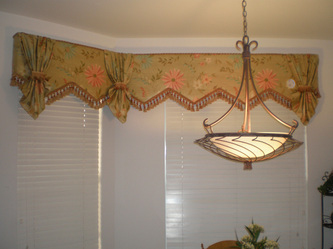 They can be very simple – using plain fabric that slips through or clips to the rod. 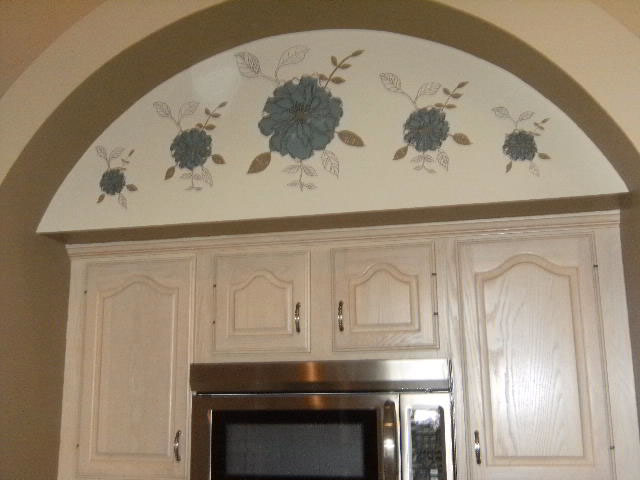 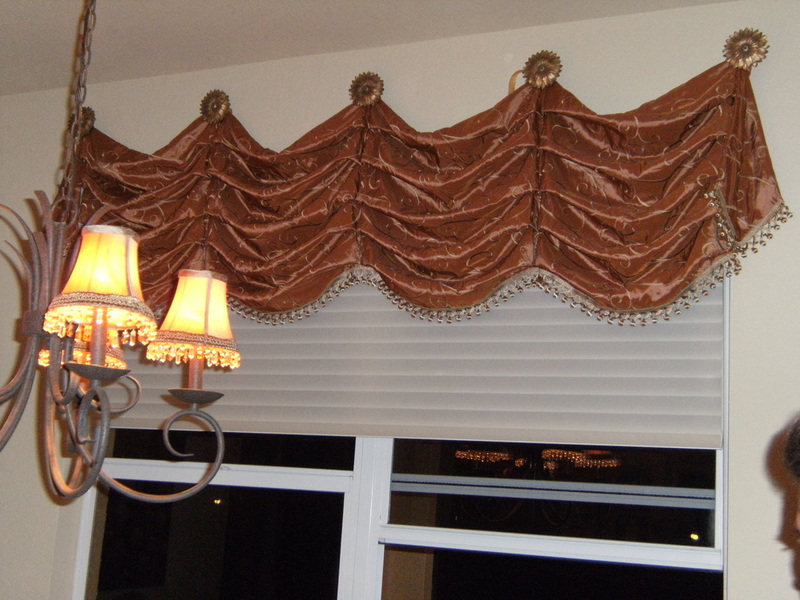 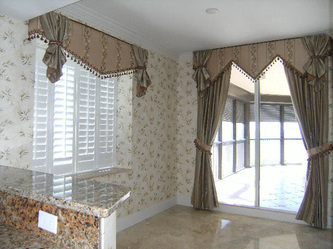 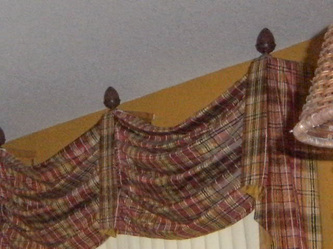 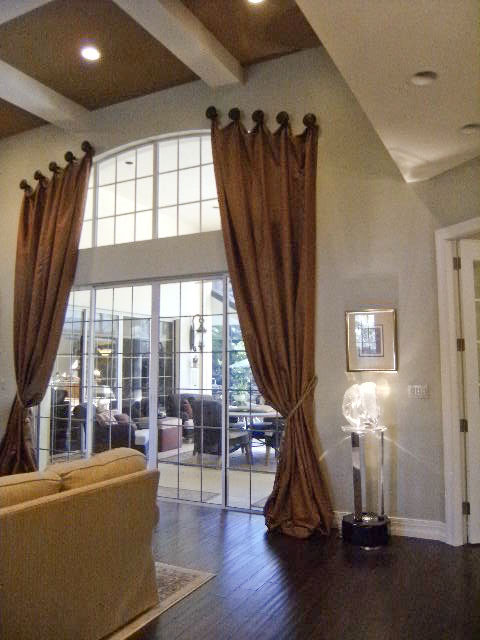 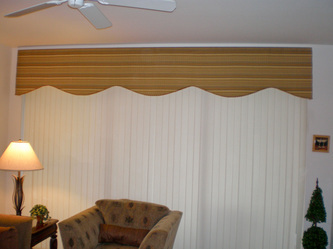 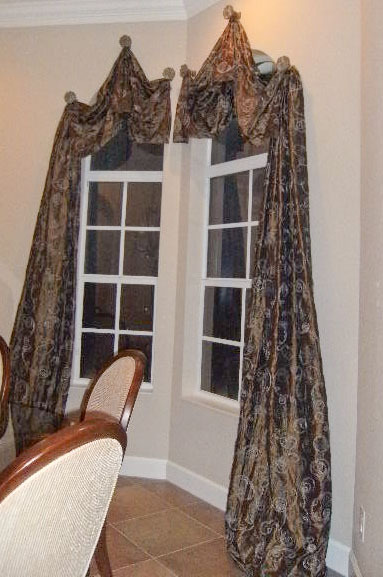 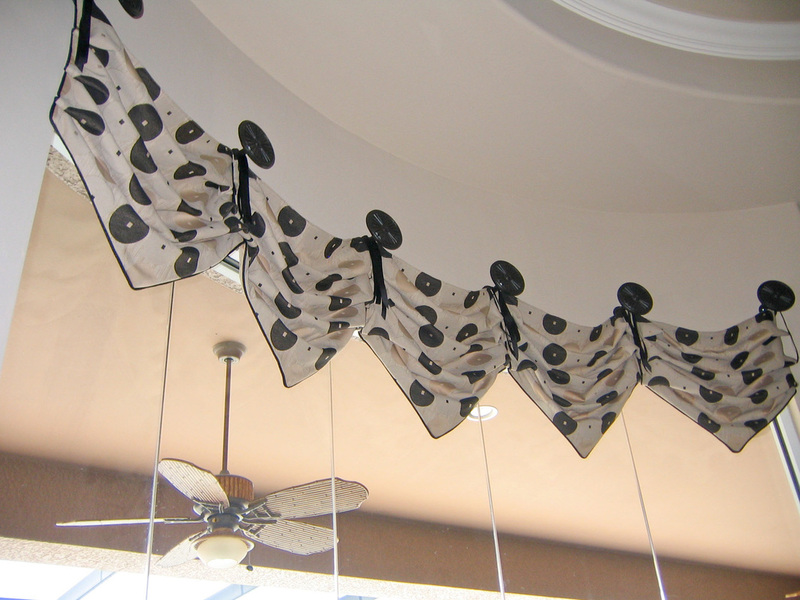 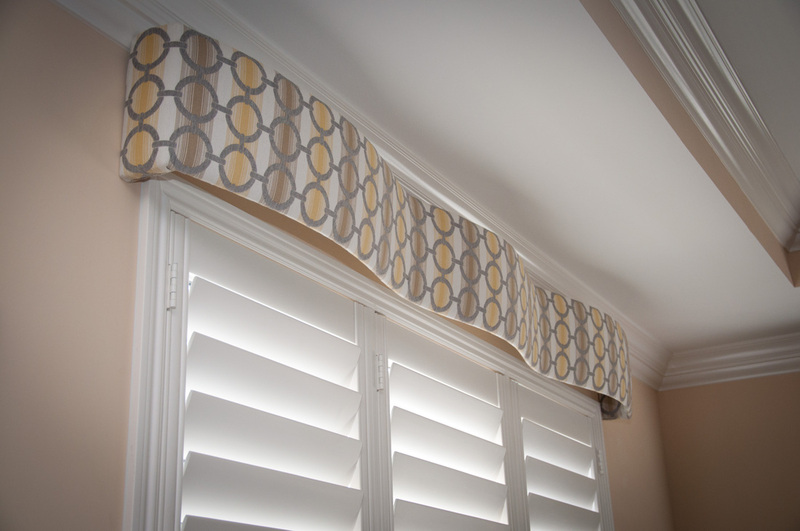 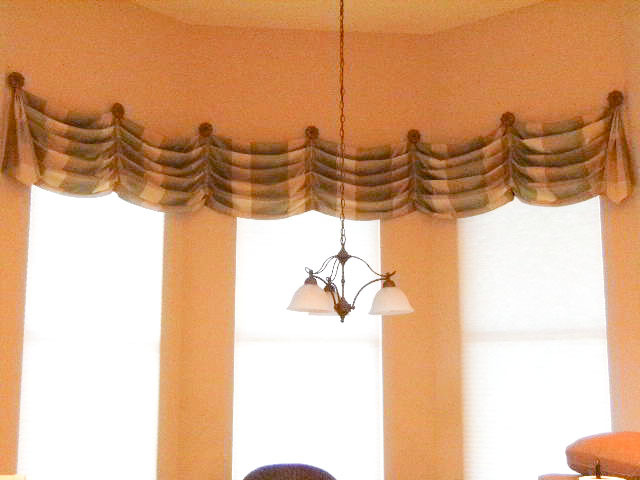 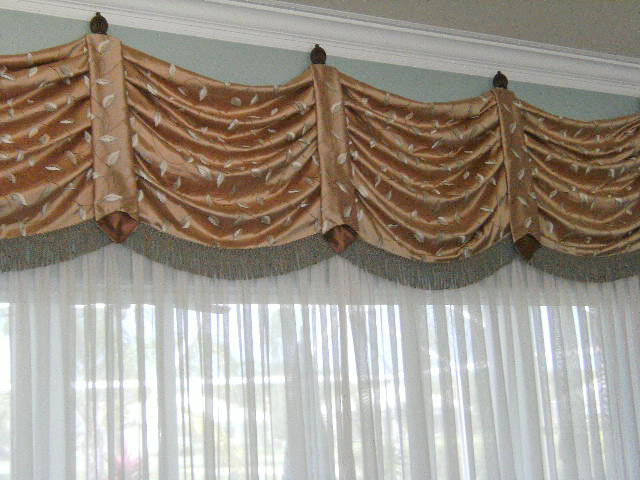 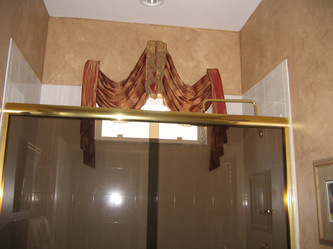 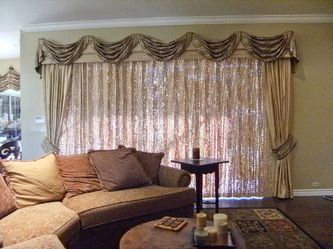 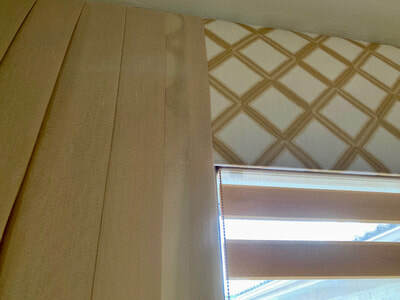 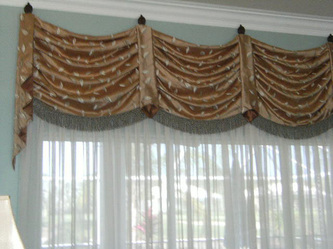 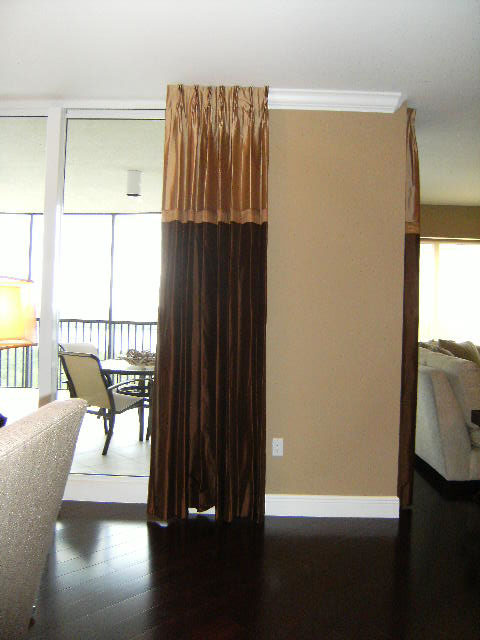 However, valances can also be incredibly decorative. In Victorian style, balloon valances are used to give weight and dimension to window treatments. They “balloon” out into a puffy shape, usually with the help of fabrics like chintz or taffeta. 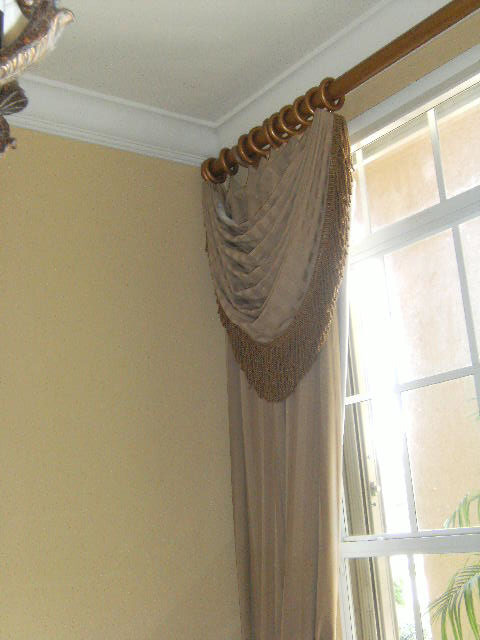 Drapery Swags – A drapery swag is a piece of fabric that hangs from the top of a window and often creates a soft half moon shape. This addition is mainly for decorative purposes; it will completely block out the light or provide privacy. 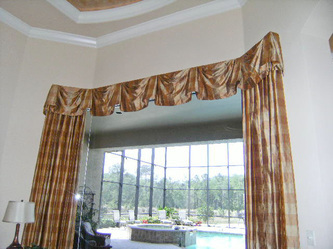 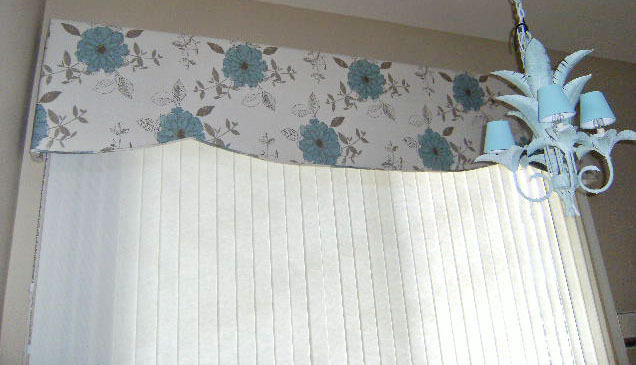 It can be used alone, or in combination with other vertical draperies. 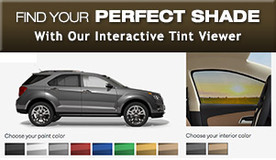 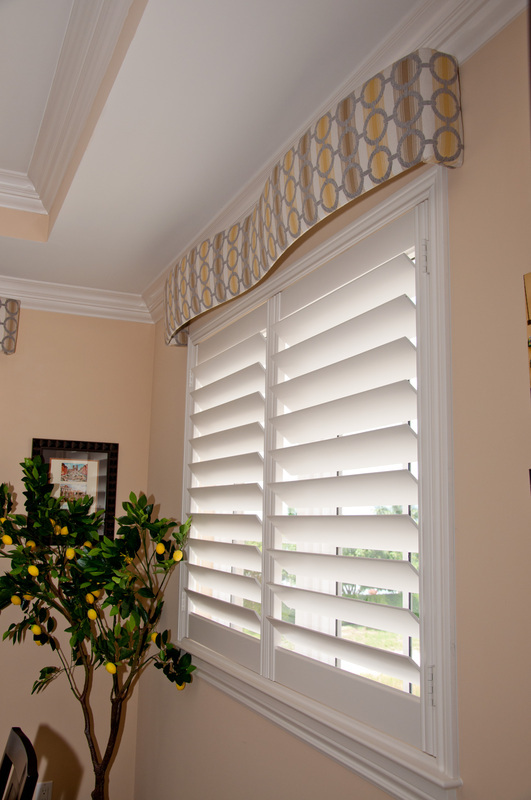 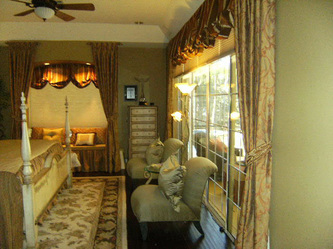 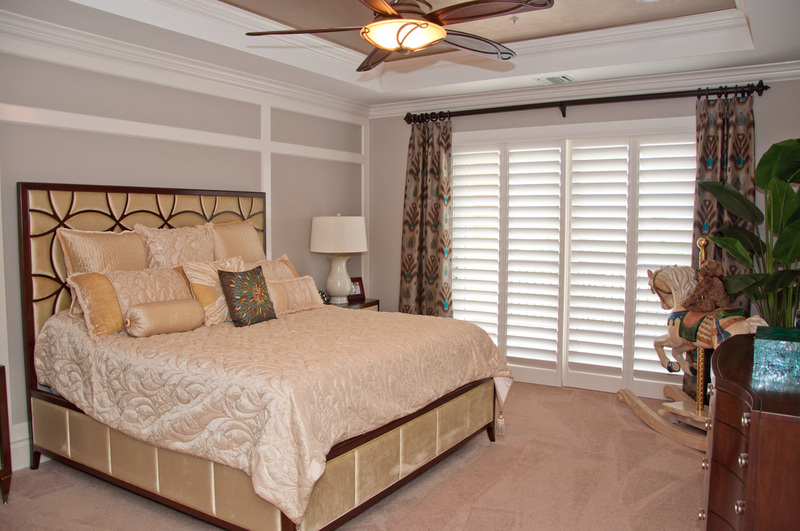 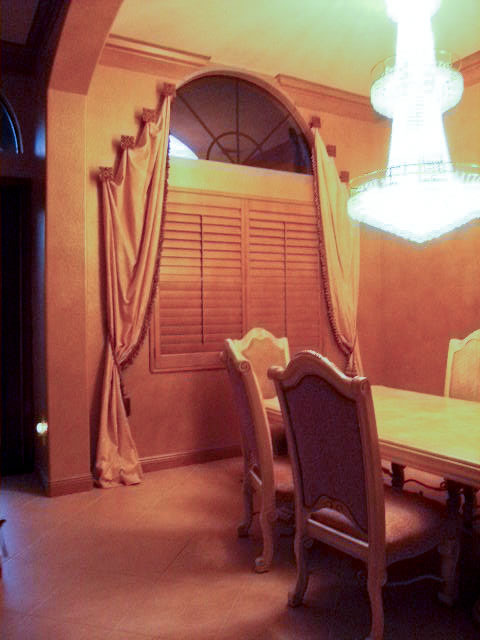 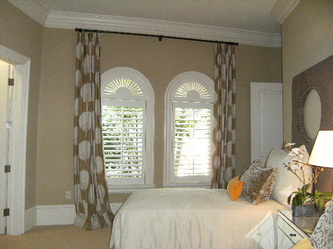 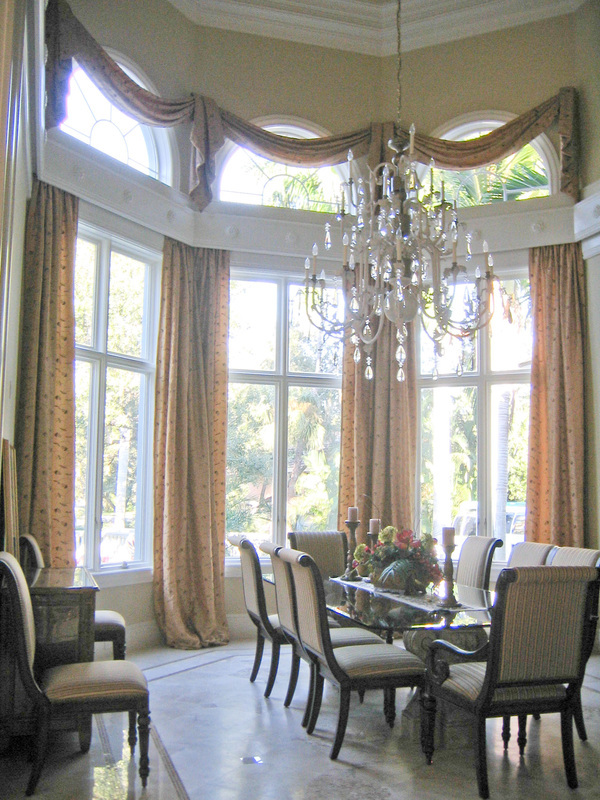 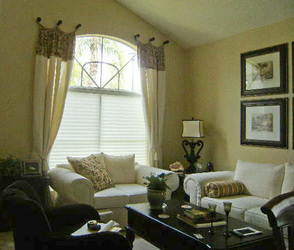 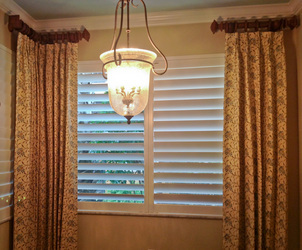 This style of window treatment is traditional, stately and elegant. Cornice Boards – A cornice board is a stationary box, usually covered in fabric, which sits on top of a window. 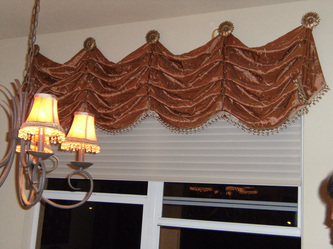 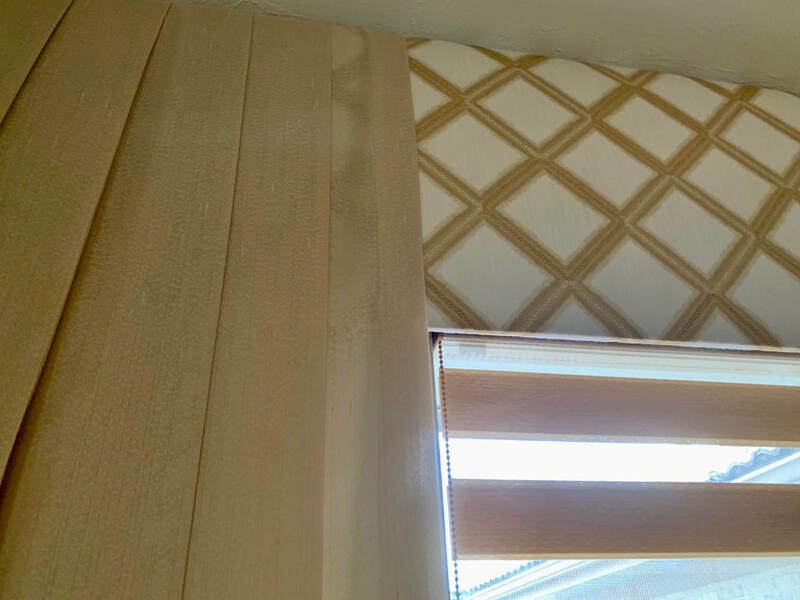 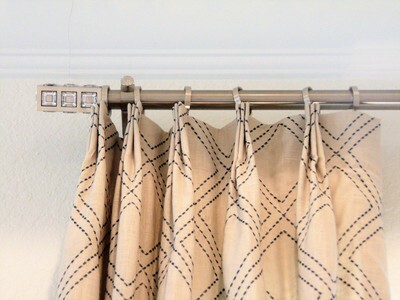 There are usually a front, two sides and top to the cornice board box, while the bottom is empty, and allows for the movement of other curtains or draperies. 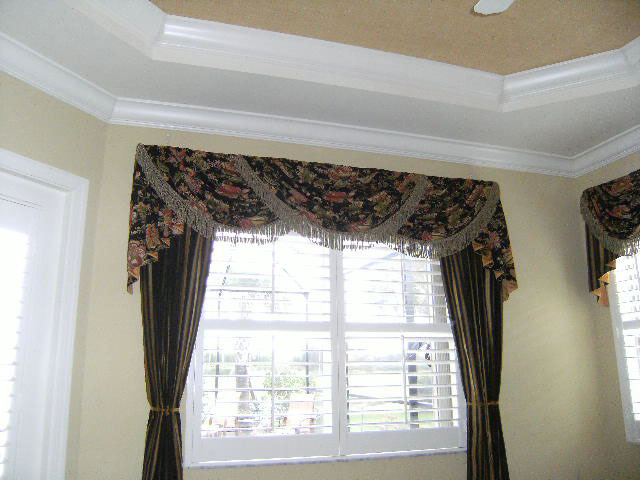 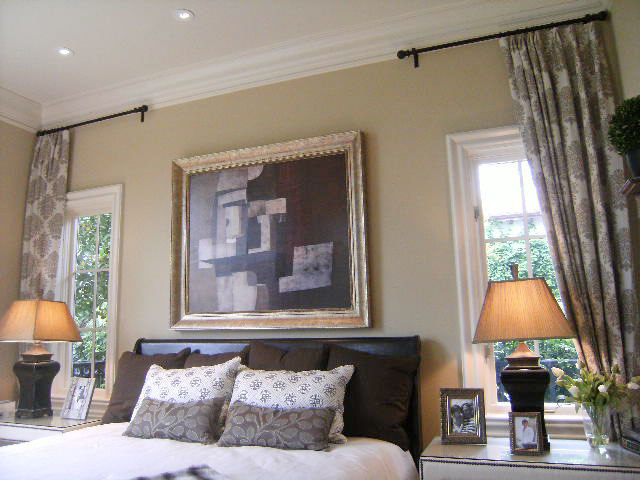 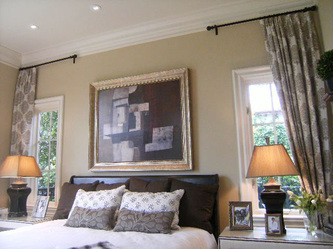 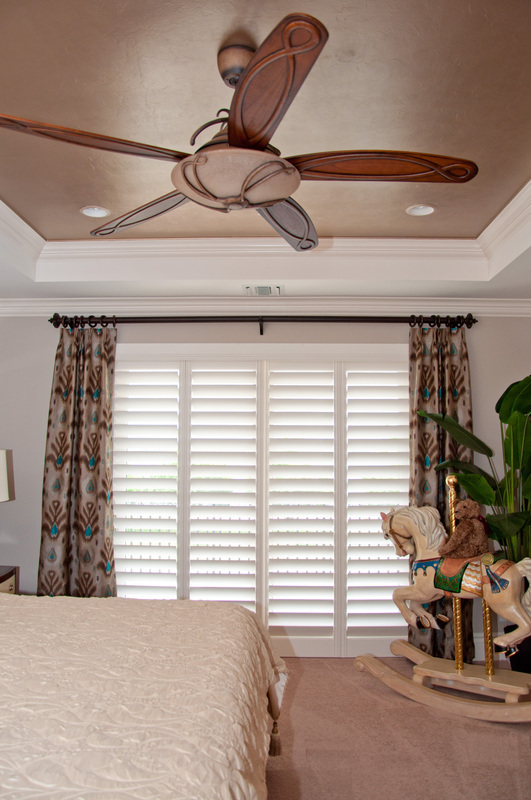 Because of their clean lines and rectangular shape, a cornice board can be a more modern alternative to a drapery swag. 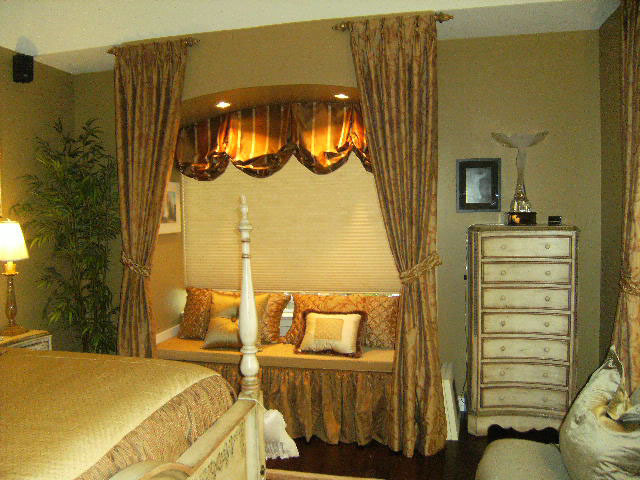 However, luxurious fabrics and other detailing on the bottom of the board can also be a good fit for more ornate designs. 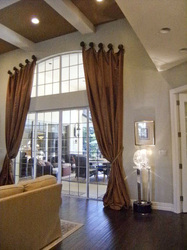 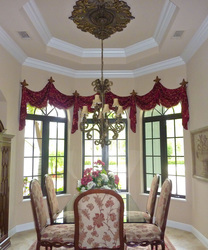 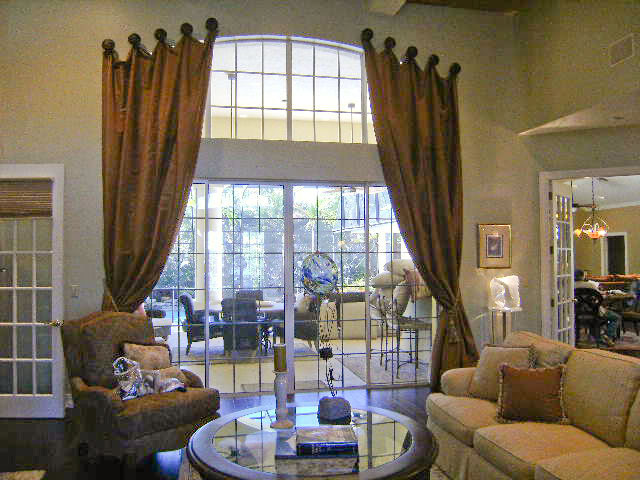 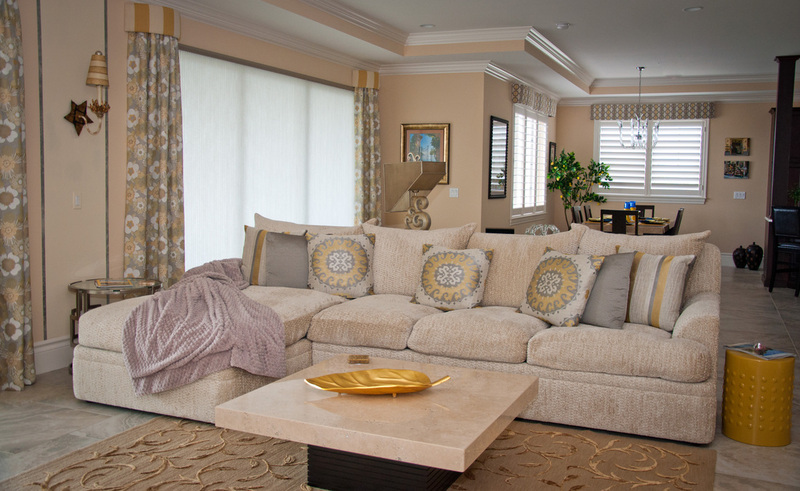 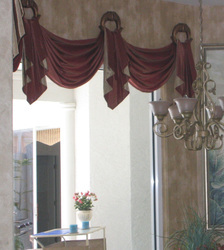 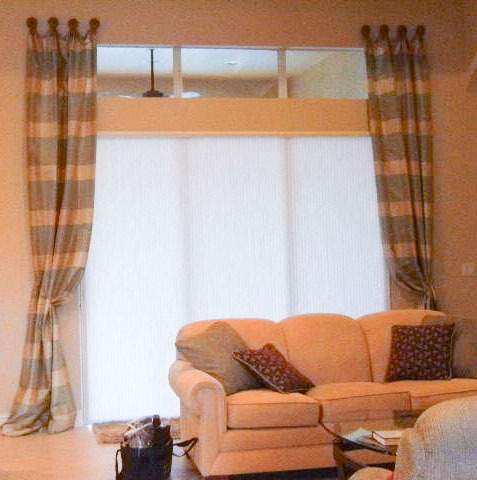 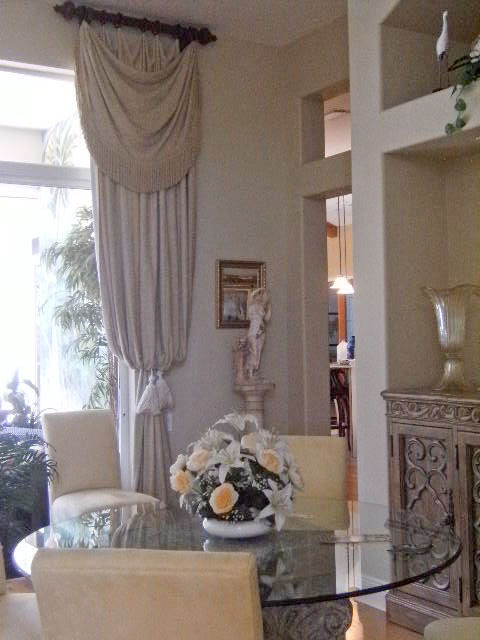 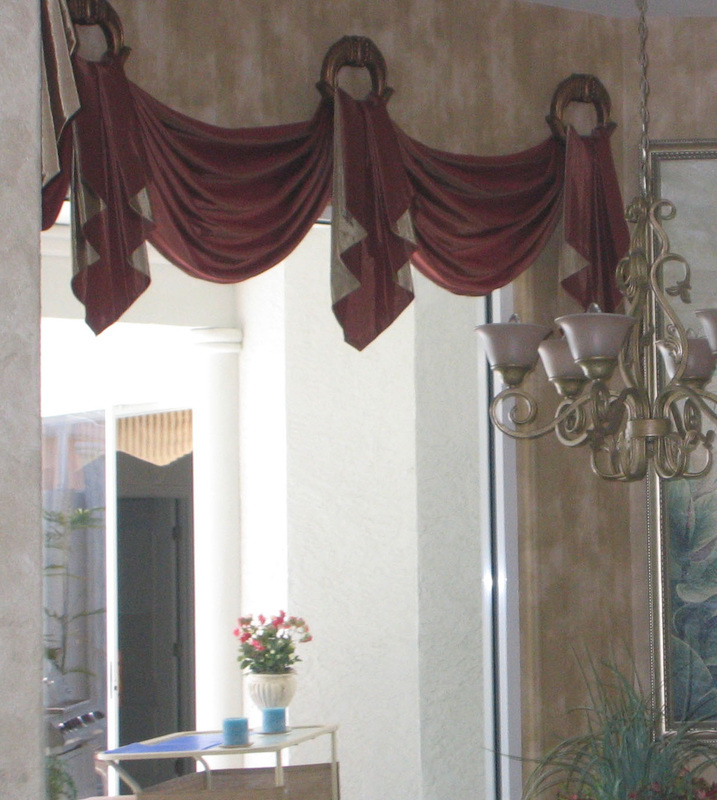 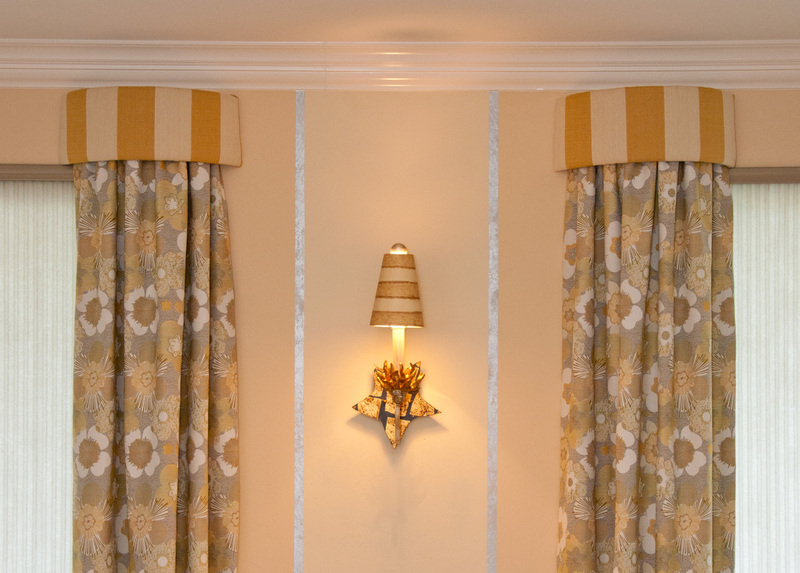 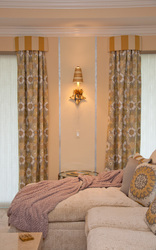 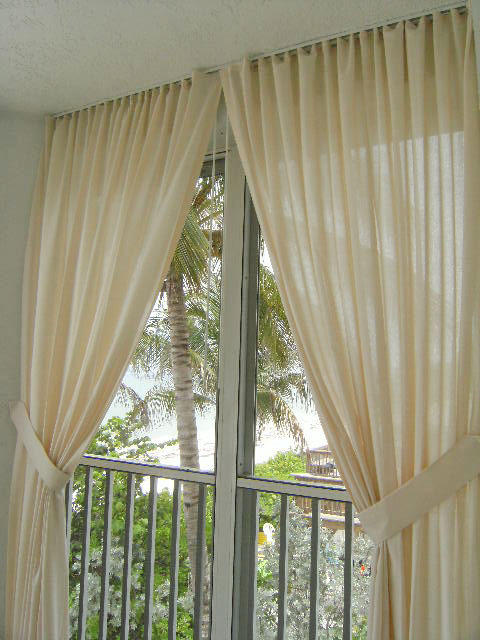 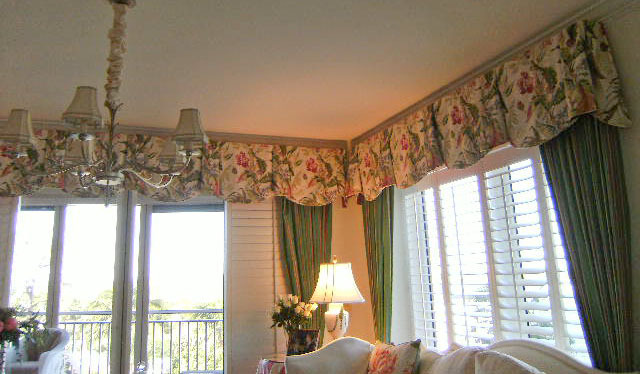 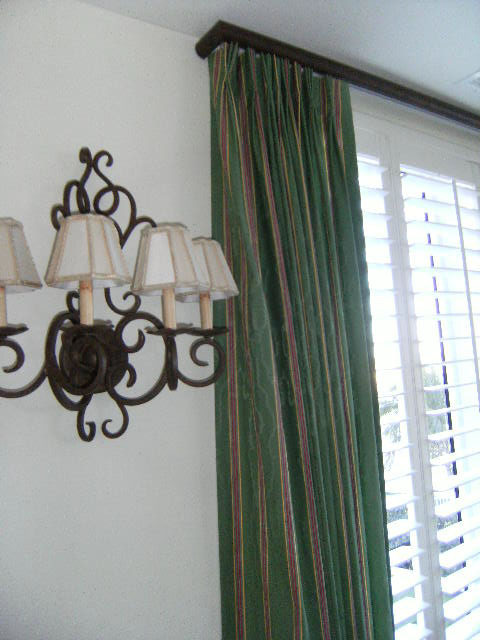 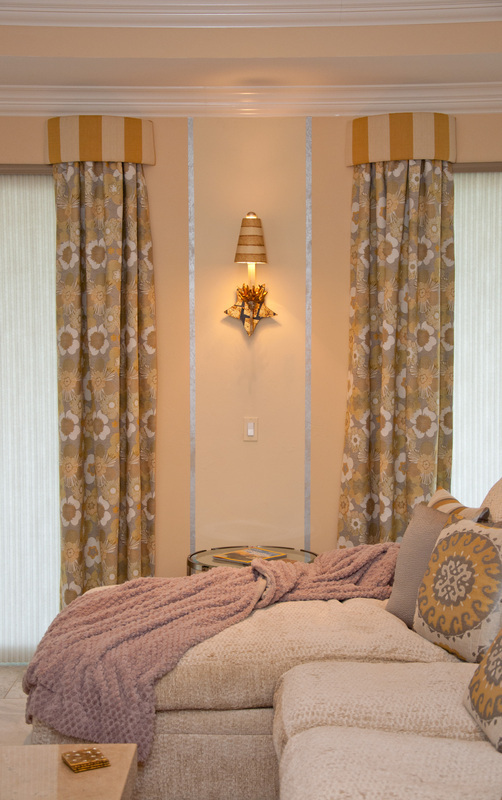 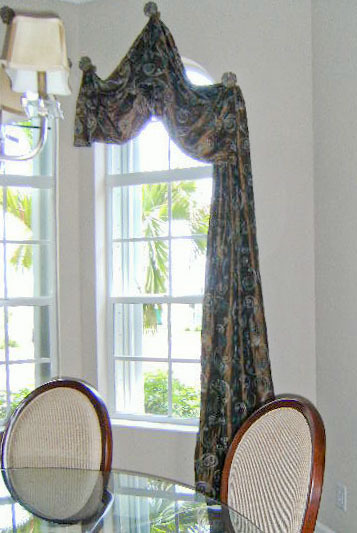 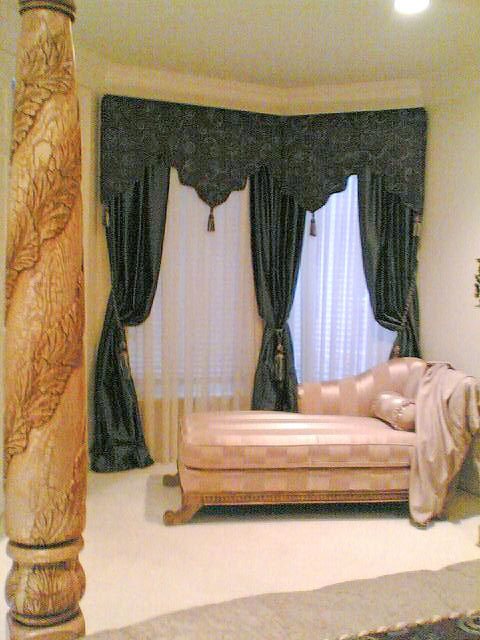 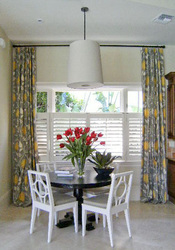 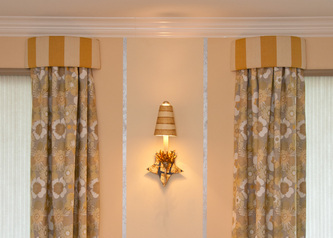 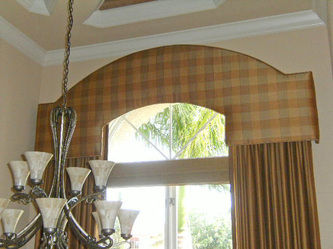 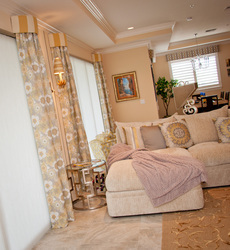 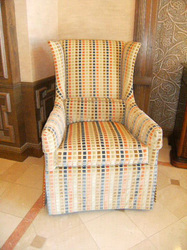 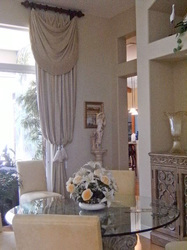 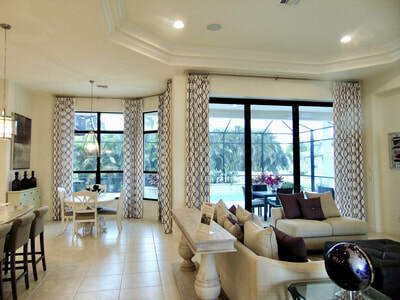 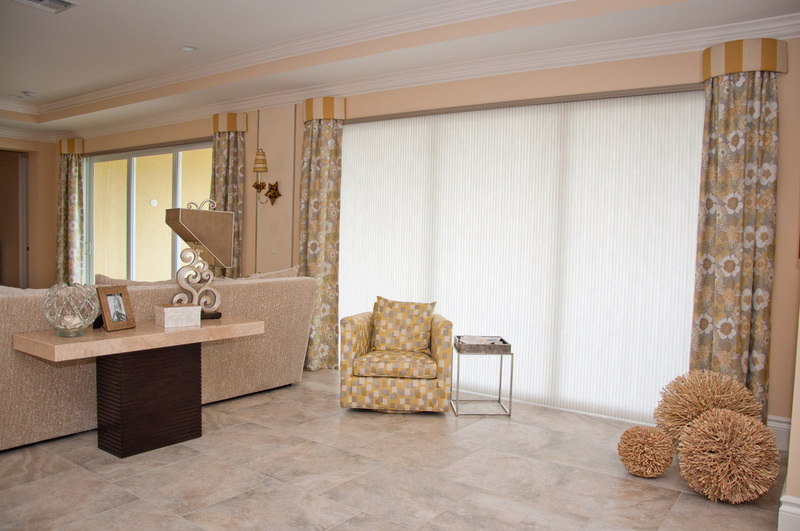 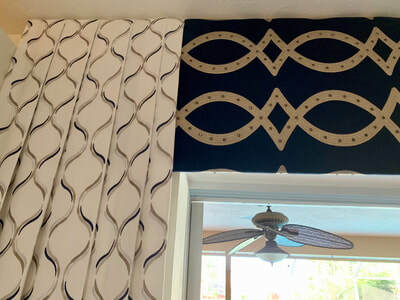 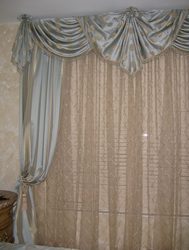 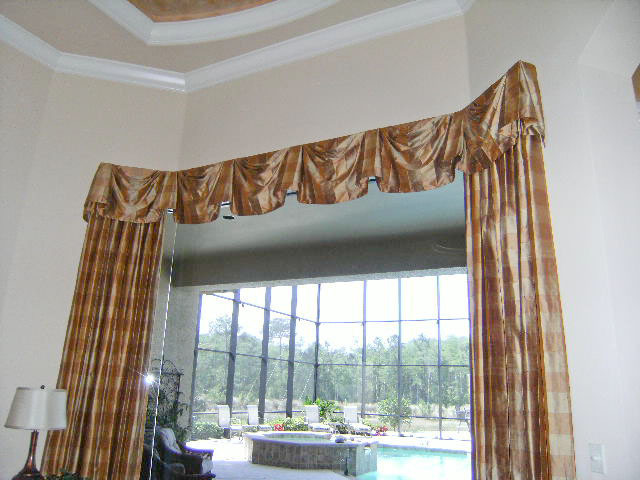 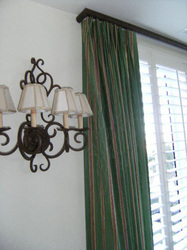 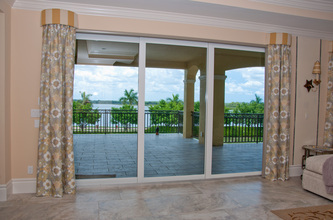 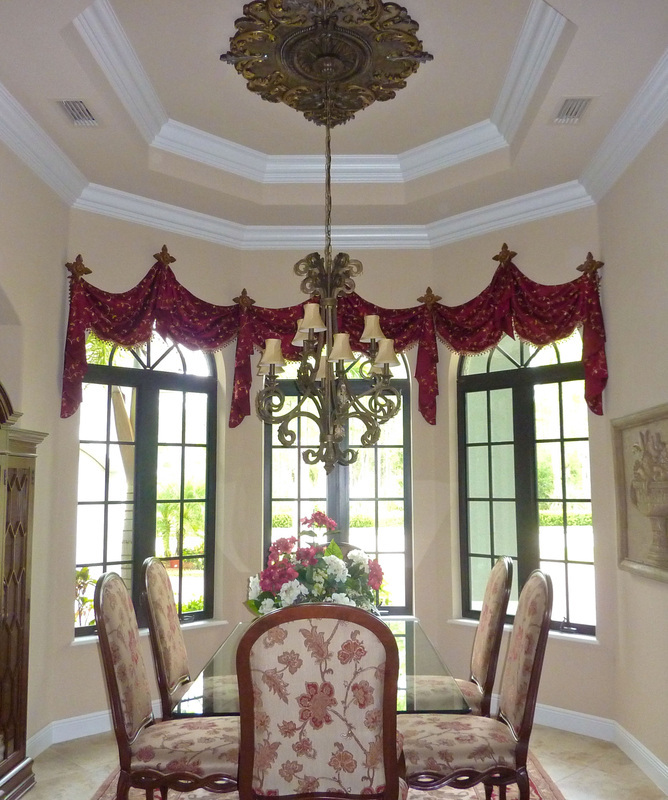 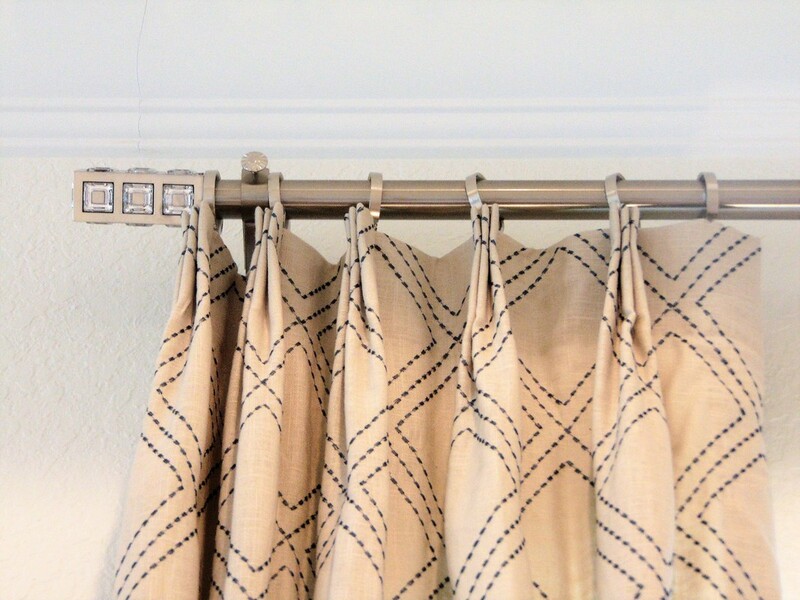 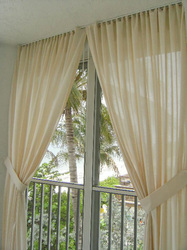 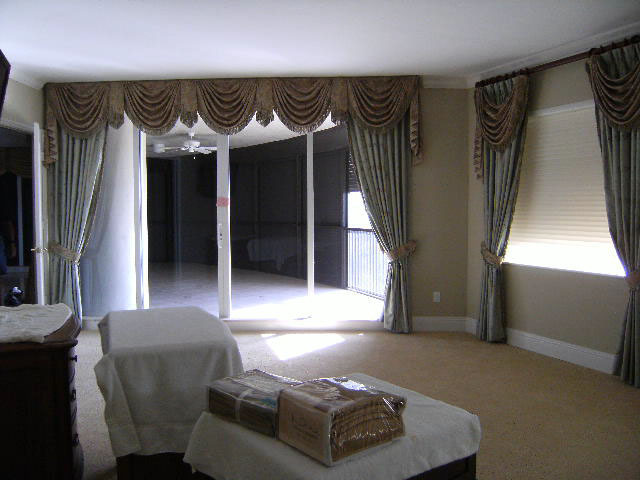 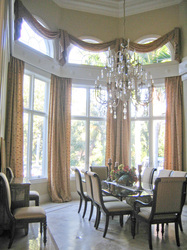 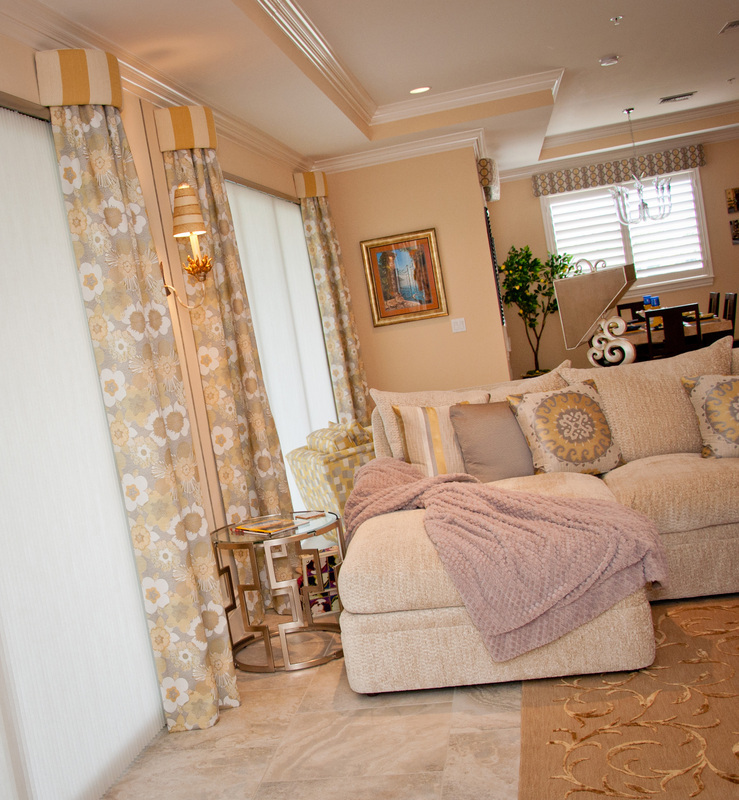 At our Naples, FL showroom samples of custom draperies are available for your perusal. 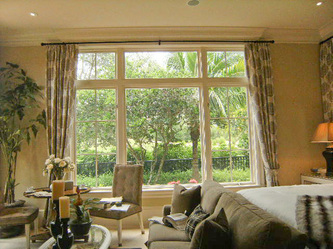 Our fabric experts can also come to your home for consultations and to measure your windows' dimensions. 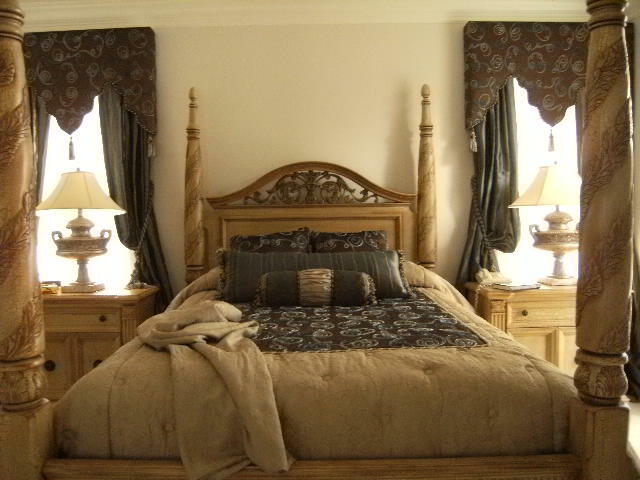 We can even provide accents such as pillows to match your furniture to your new draperies. If your furniture could use a facelift, we provide re-upholstery services that can make your old (yet comfortable) sofa look as good as new! 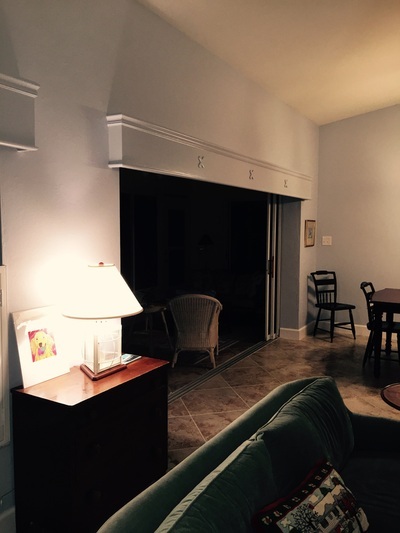 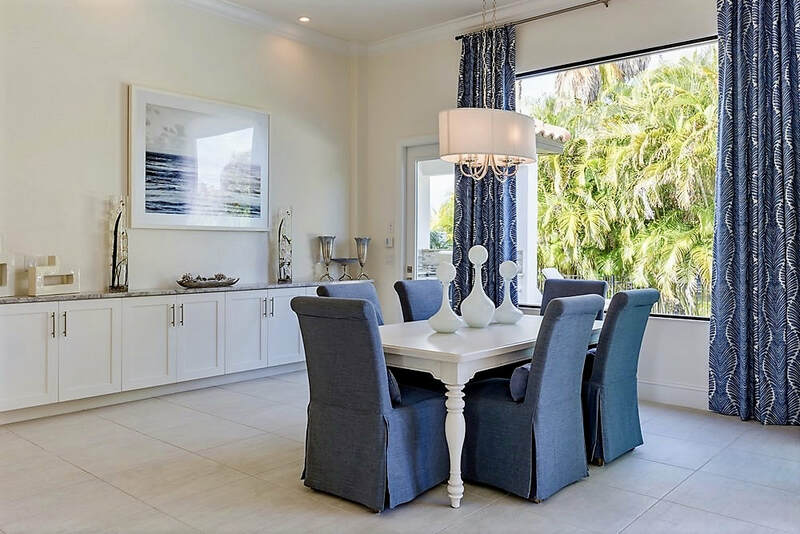 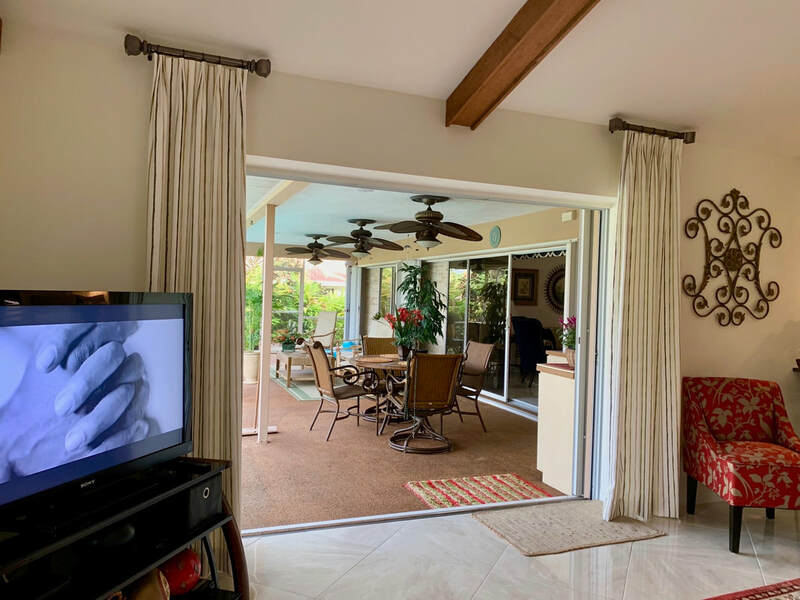 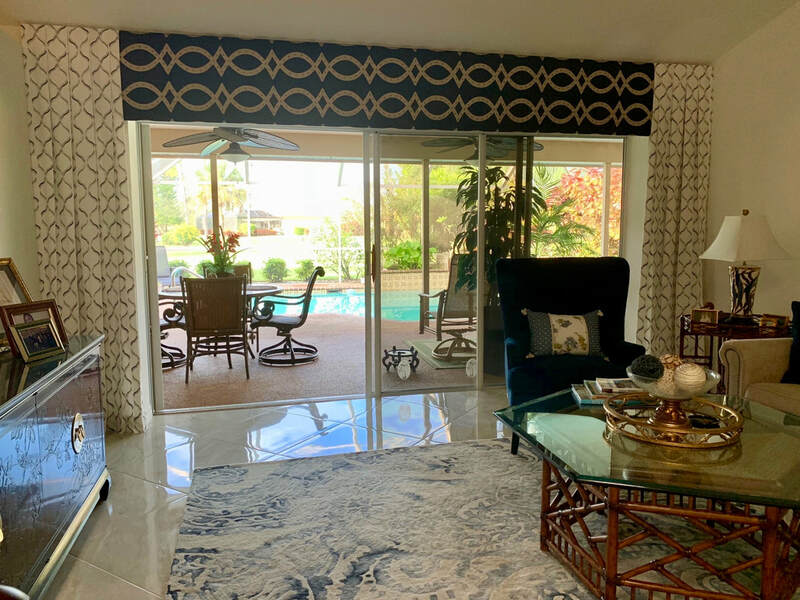 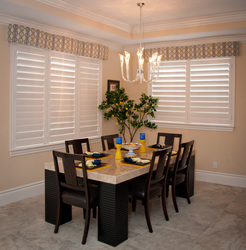 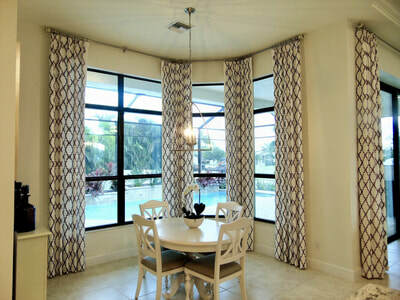 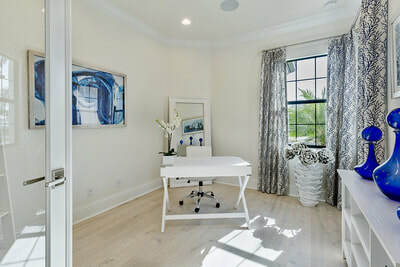 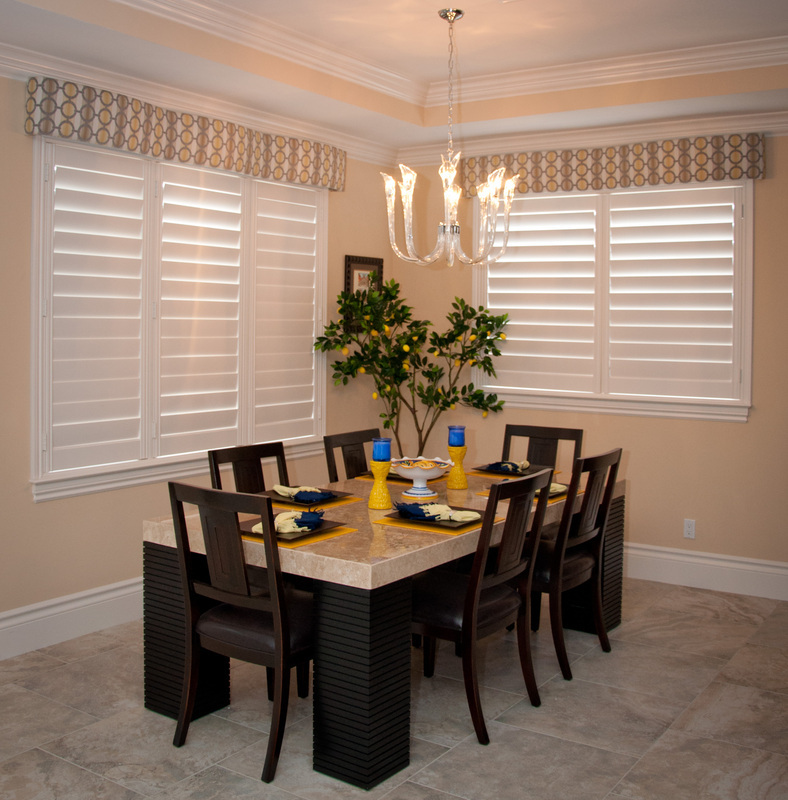 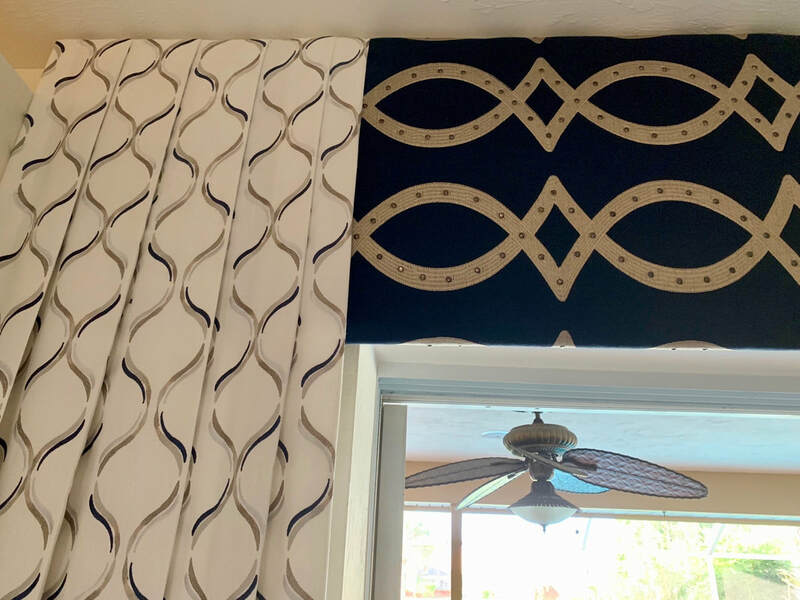 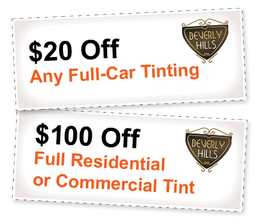 Check out the photos below as well as our gallery of window treatments and then call 239-592-5535 or click below for a quote.